Global Warming Policy Foundation | Watts Up With That? November 29, 2013 in Opinion, Science. October 31, 2013 in Global cooling, Government idiocy. IPCC’s Diversion Tactics Criticised The Global Warming Policy Foundation (GWPF) is criticising the IPCC for its deliberate attempt to obscure the reality of an ongoing temperature standstill and its failure to come clean about the failure of its models. September 27, 2013 in Hiatus in Global Warming, IPCC AR5 Report. September 24, 2013 in The WUWT Hot Sheet. September 3, 2013 in 97% consensus. 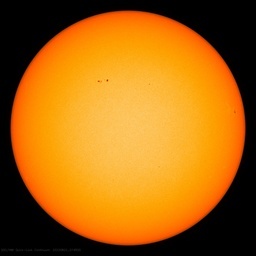 Newsbytes: Sunspot Enigma – Will Inactive Sun Cause Global Cooling? July 24, 2013 in Global cooling, Newsbytes, Solar. July 8, 2013 in Newsbytes. July 4, 2013 in carbon tax. July 2, 2013 in media. June 11, 2013 in Polarbeargate, Sea ice. Eco-woke Journalist: "We're losing the war on climate change"